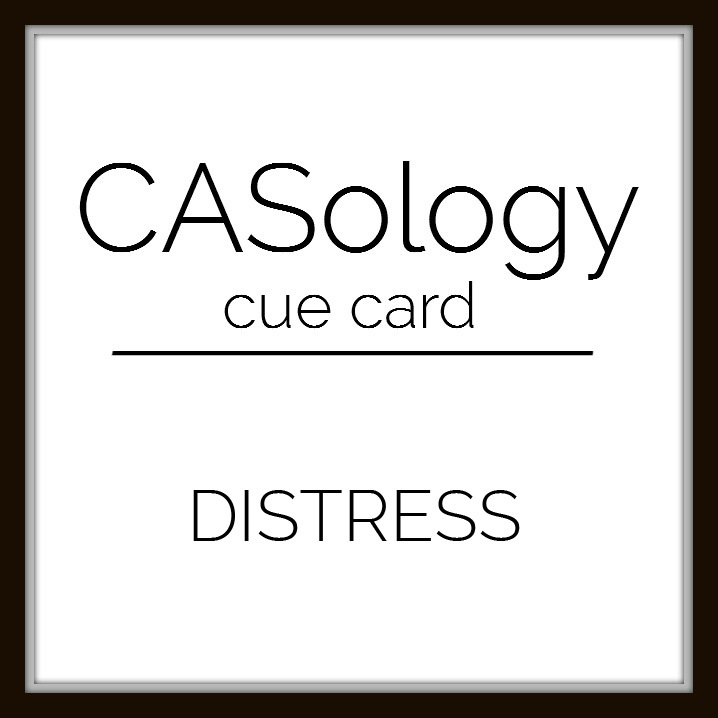 This week's CASology Cue Card is Distress! I know that a lot of you will (like I did) immediately think of your distress inks. A lot of distress ink techniques are not exactly CAS, but if you use them in small doses with lots of white space, your design will still end up CAS. I sponged distress inks on a white scrap before I used a Lawn Fawn (our sponsor this week!) Scripty Thanks die. I left the colours faded (and distressed) by not using a lot of ink. 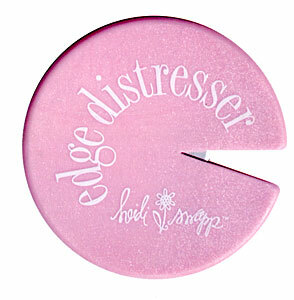 I also used my OLD Heidi Swapp Distress Tool (remember these?) on the edges of the strip under my distress-ink sponged sentiment to add a bit of texture. Using a white strip helps preserve white space. Now it's your turn! Be sure to drop by the rest of the DT for more inspiration! Love how you used distress 2 ways. I had completely fogotten about my little edge distresser. Thanks for the inspiration. A double dose of distressing! Fabulous! Love your distressed die cut card! Distress ink AND you distressed the paper! Nicely done. Amazing - love your doubly distressed CAS masterpiece Ardyth. 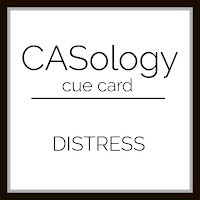 Two distresses in one card! Love the ink blending! This is so cute Ardyth. I was trying to find a way to distress some edges, but you did it beautifully and the colors are lovely! Ardyth, you´re perfect in CAS-cards. I had one of those distressing tool and TONS of sandpaper back in the day. Only you Ardyth can make using a distress tool look clean, modern and simple! Love it. Thanks for a stroll down memory lane! Forgot all about this little gadget!!! Now....I wonder where I put it!!! The 'sweetly wonky' font totally works with the distressed edge! Awesome colors and shading too! The ombre die cut word and that HS tool, still have it, it was really the best tool for gentle edge distressing. Oh, I used to use my HS tool on layouts all of the time! So fun that you used it on your card! I love the inking on your diecut word! Such a perfect example of distressing with a CAS design. Love this. I actually thought of the distressing tool first, Ardyth, and I love the look in white, almost like fringe, with the bold sentiment. I arrived at the tail end of the distressing tool scene, so never learnt how to use one of those nifty-looking tools. 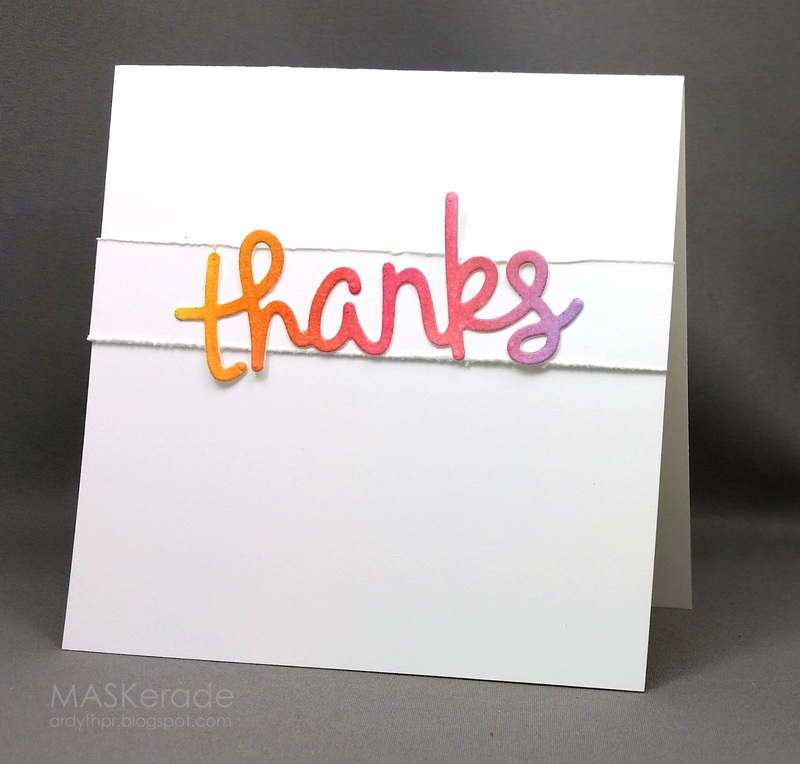 Love how you used it white-on-white, with that distress-inked die cut! Very cool!! So clever to do the edge distressing, Ardyth and your sentiment looks great with the distress inks sponging!!! Wonderful CAS!!! !